Over summer 2018, Professor Samer Faraj received six recognitions for the excellence of his completed and forthcoming research. • Best Conference Paper at the 2018 Academy of Management (AOM) OCIS division for: “Who Contributes Knowledge? Embeddedness and Marginality in Online Communities” with Hani Safadi and Steven Johnson. • Best Student Paper at the 2018 Organizational Behavior and Health Care (OBHC) Conference, co-authored with Desautels PhD student Karla Sayegh for: “Wait, the Baby Could Die! Integrating Expertise Differences in a Hospital Merger,” Montreal, Canada. • Runner up for Best Student Paper at the 2018 Organizational Behavior and Health Care (OBHC) Conference with (U. Cambridge) student Stavros PolyKarpou and Michael Barrett for: "Pebble in Still Water: How Implementing 3D Printing Reconfigures Boundary Relations," Montreal, Canada. 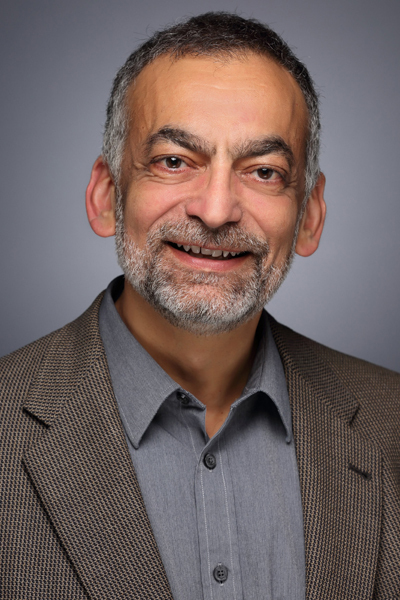 Finally, in support of his forthcoming work, Professor Faraj was awarded a 2018 Social Science and Humanities Research Council (SSHRC) grant for, “Coordinating Expertise Across Organizational and Disciplinary Boundaries.” The four-year grant valued at $320,815 will allow him and his PhD students to continue their research on healthcare coordination issues within and across hospitals in Montreal.